This is my first venture back into projector after an initial period spent with an Infocus 4805 in 2005 in a small apartment in Westmead. It was loads of fun and proved size does matter, and I had dozens of people come by at our little gatherings to gawk at the image, which was simply projected into an empty white wall. It was the time of DVDs and component video, and no one was complaining about picture quality. It was simply too much fun to have a 100" image. Fast forward to 2011, and after getting a new HT pad, I decided to integrate a projector into the home theatre setup. I wasn't interested in 3D, and was not prepared to spend too much, and for a little under USD 1200 shipped, it was a small investment until I got a nice 70" flatscreen. The dust is settling on my new place, and now I can get down to getting that whizzing bullets past me, and all the surround ambience I had in the old place, and reproducing that in my new and larger den. After a period of setting up and calibrating and speaker movement, I would to share some points. Firstly, ceiling speakers are an aesthetic compromise. They are fine if you just want some ambience, and effects. But if you want that bullet to fly from the rear backs to the surrounds to the fronts, or that fly past to really go from the back to the side and then to the front and back, you will need to adhere to the suggested placements of those rears. Simply put and summarised from the various websites, the surrounds need to be about 80 to 100cm above you, and slightly to the rear or close to your seated position for a 7.1 or more setup, and behind you in a 5.1 setup. The rear backs are lower, about 50-80cm above you and directed towards your seat. 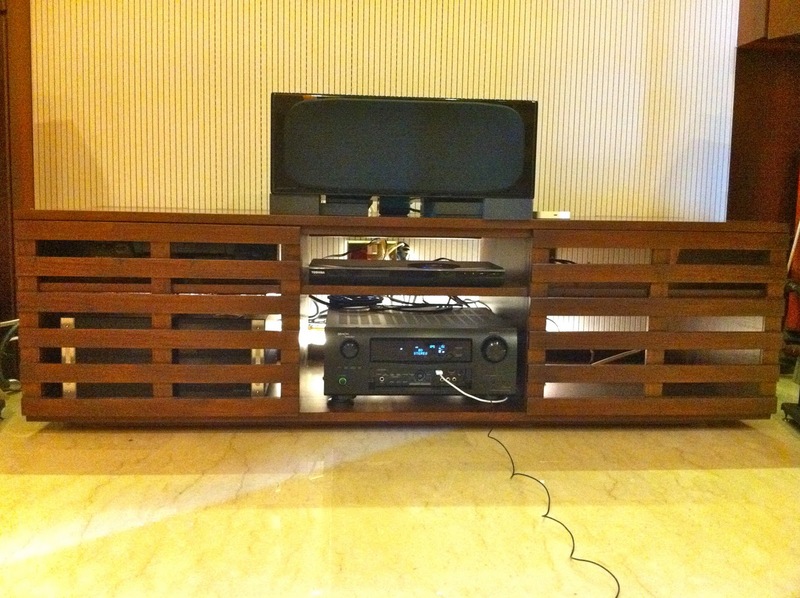 There are some fundamental points which will help you to get, design or custom make your ideal home theatre console.